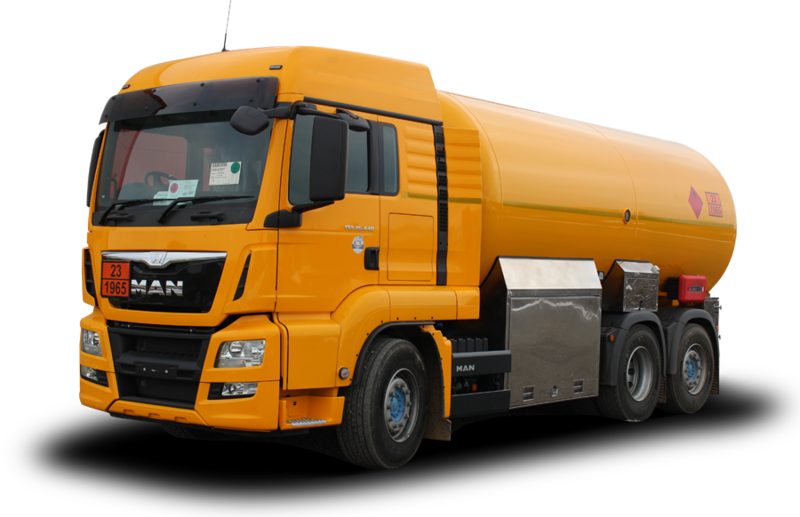 We manufacture modern and technologically advanced LPG road tankers in tank sizes 13-70 m3, suitable for LPG mixtures A, B, C. Our road tankers are certified according to the ADR standards 2013 and European Transportation Pressure Equipment Directive TPED (2010/35/EU; NV 208/2011). 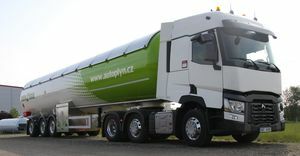 Our road tankers are made of highly resistant fine-grained steel and with accessories using modern materials (carbon, titanium, stainless steel). This makes us different from our competitors by achieving lower tanker’s weight for a given volume of tank. Surface treatment is made of varnishes and paint layers sprayed by nanotechnology, which increases self-cleaning ability of the surface and good abrasion resistance to mechanical damages due to the operation (departing stones scratches, etc.). Measuring and dispensing devices are designed from components of world producers (Corken, Blackmer, Emerson, Endress+Hauser, Festo, REGO, Fisher, Cavagna, Elaflex, etc). 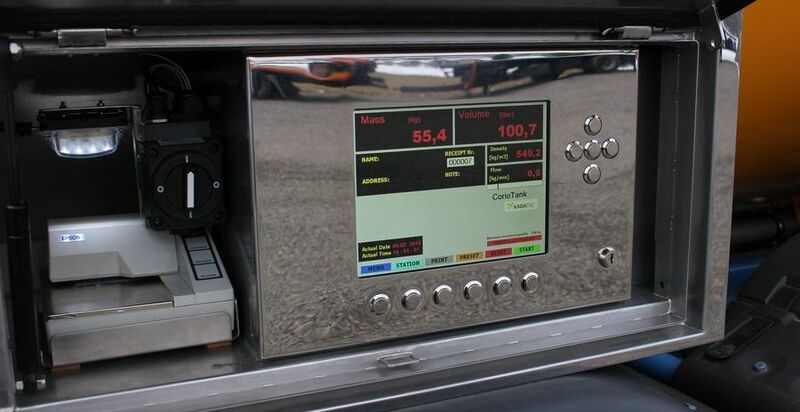 Volume measurement works on the Coriolis mass principle and is the standard design solution on all our road tankers. Standard equipment also includes evaluation unit Kadatec Corio T with electronic 10,4“ LCD display, with GPS and on-line remote data transfer from the point of sale and possibility of immediate billing from the office of the owner. This metrologically certified electronic device with high measuring accuracy (0.2%) provides immediate information on gas composition and quality by measuring gas mass and density in real time and temperature. By printing those data on the receipt, customer receives true information about the product he is buying, and its quality.